IntLawGrrls: Not so fast toward the EU? 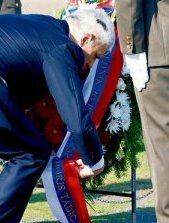 to pay respect to the victims, to say words of apology, to show regret and create a possibility for Serbia and Croatia to turn a new page. Part of that post-atonement chapter, Serbia hopes, is European Union membership, so that Serbia no doubt welcomed subsequent EU and the U.S. State Department comments heralding the visit as a welcome step toward reconciliation.